Next week you'll be able to pay to run private leagues in Path of Exile and add mods to make the game absurdly hard. "We designed private leagues with the needs of two groups of players in mind," reads the announcement on the Path of Exile site. 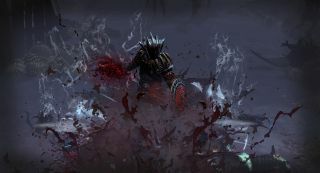 "The first group is players who want a more challenging Path of Exile experience. The second is players who want to see how far they and their friends can get without outside influence from the rest of a league." Mods can reduce player resistances, stop magic or rare items from dropping, stop vendors from selling items, stop towns from regenerating your health and mana. Smaller targeted mods will let you increase monster damage, life, speed, elemental damage and even the number of projectiles they throw out. According to Grinding Gear Games, "Private Leagues will be fun for content creators who want to create an entertaining stream or video by playing Path of Exile on obscenely difficult settings, potentially alongside members of their communities." "Philosophically, it's important to us that Private Leagues don't make the game easier. That's what special events like Flashback, Turmoil and Mayhem are for. We'll continue to run special events like these in the future." A default league will have ten player slots and last for ten days. You can't run a league past two months for now, but you can add extra player slots after a league has launched, for a price. A league costs 120 points to set up (about $12), and you select the mods you want on the league's creation. Grinding Gear is also planning to announce "our largest expansion this year" next week. That comes after the Delve update that added an infinite dungeon at the end of August. Though private leagues cost money to set up, Path of Exile's expansions and base game are entirely free, and the game remains one of the best free to play games you can play on PC.